I’m very grateful to have been a part of the Satellite High School Program here at the Milwaukee Art Museum as a college intern. Under the direction of Chelsea Kelly, Manager of Digital Learning, I participated in object studies, museum tours, and numerous discussions with a diverse and talented group of high school juniors and seniors from schools in the Milwaukee area. 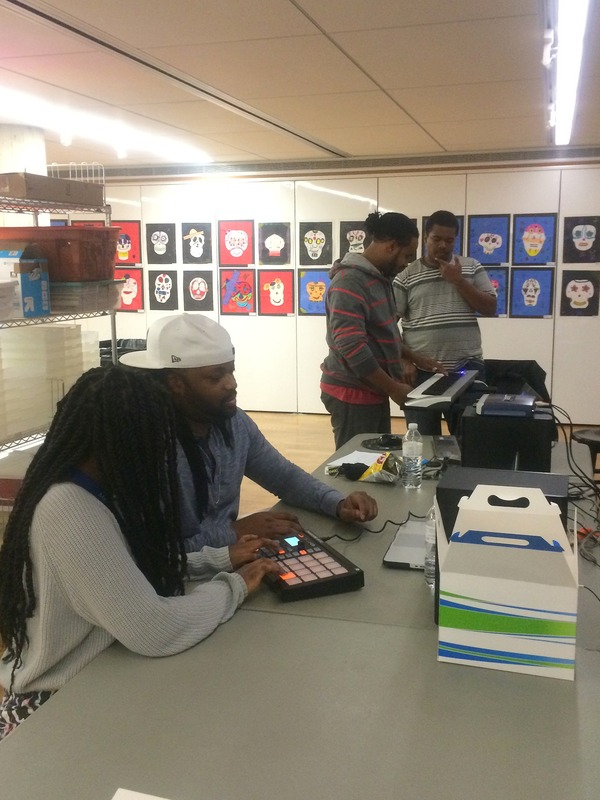 Throughout the duration of this weekly program, I’ve shared laughs, exchanged ideas, composed hip hop music, and viewed countless works of art with these capable and intelligent young artists. In the short four months since the beginning of Satellite, I’ve seen each student grow on an individual basis as an artist, each with a unique and distinct creative voice that enriches the museum community, which in turn serves as a reminder of the vital importance of programs such as these. We as a group were fortunate enough to have an expertly curated exhibition coincide with the beginning of our program, Of Heaven and Earth: 500 Years of Italian Painting. Many of our activities, discussions, and ideas were centered on the works featured in this impressive exhibition. We spent hours analyzing and evaluating the works of Salvator Rosa, Botticelli, and Titian, to name only a few. 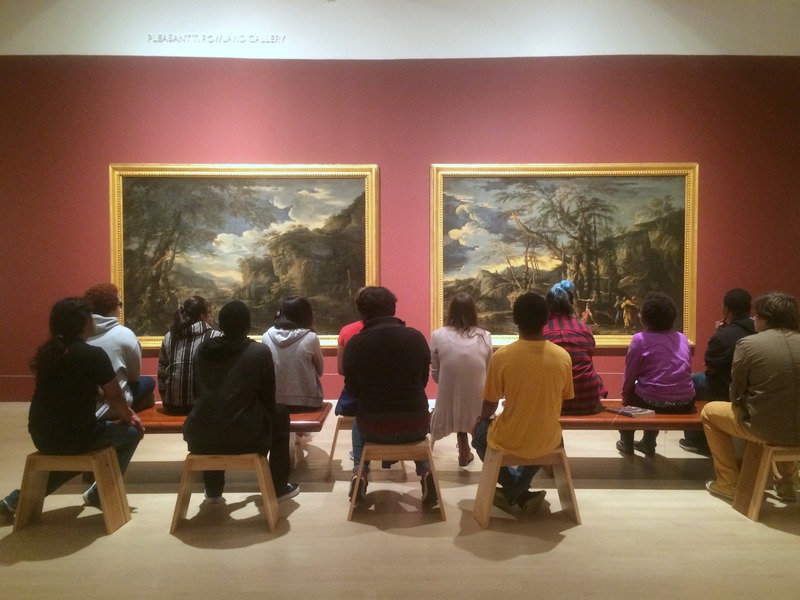 Satellite students spent an hour discussing Salvator Rosa’s landscapes. Photo by Chelsea Emelie Kelly. 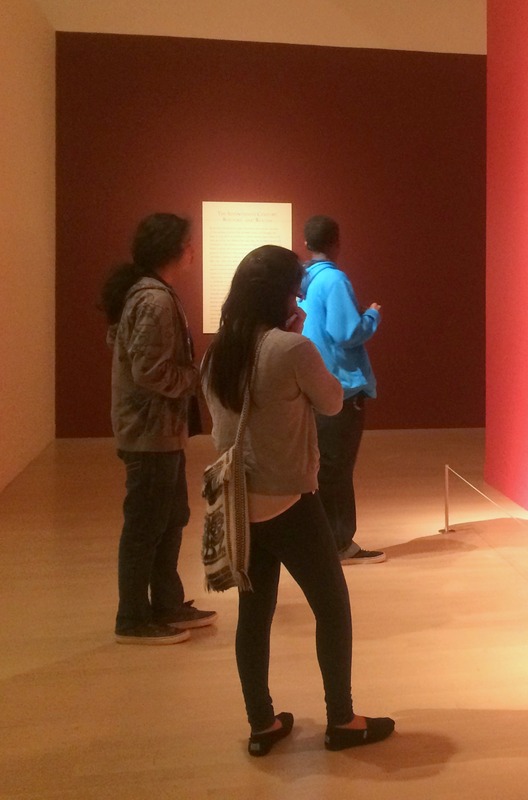 After becoming familiar with the back stories of several works and the art historical context in which they were conceived, the teens were tasked with leading guided tours for small groups of grade school children from Milwaukee Public Schools (MPS). The teen interns were thrilled with the opportunity, and took on leadership roles with ease. 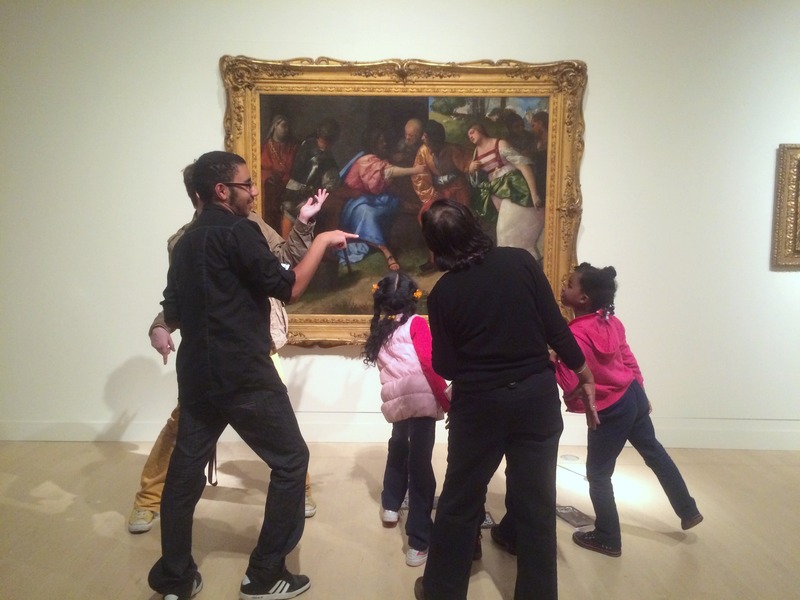 They demonstrated their new-found knowledge of Italian painting and art criticism in a way that was exciting for young kids from Milwaukee who might otherwise never have had an opportunity to come to the Museum. It was entertaining to watch the teens as they navigated the exhibition with their little ones trailing not far behind, who were naturally curious and captivated by centuries-old paintings. One of the questions we addressed frequently throughout the program was “how can we make the MAM and its collection relevant to our lives?” It occurred to me while watching these tours that the teens of the Satellite program were doing just that: finding connections that exist between the remote past and modern urban life, and sparking children’s interest in fine art—an interest that I’m confident will grow stronger and flourish with time thanks to the teens’ hard work. 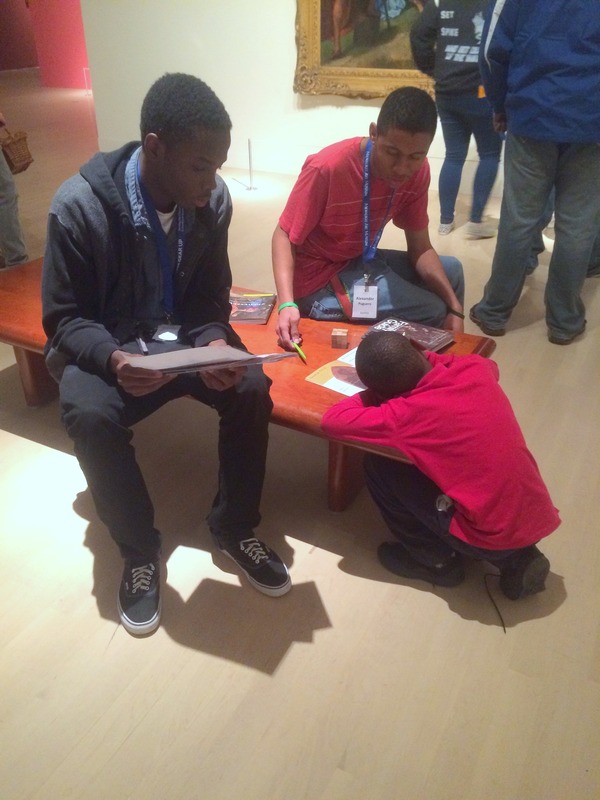 An additional goal of the Satellite program was to familiarize the teens with the inner workings of art museums. We met various designers, curators, and administrators involved in the Museum, and learned about their experiences and contributions. Some of the individuals whom we had the opportunity to speak with were Dena Nord and Nate Pyper, both of whom are graphic designers, and Dan Keegan, the director. In many respects, I was learning along with the students as we discovered the complex ways that museums function, and heard from the dynamic team of designers, educators, curators, registrars, and others that make the MAM a haven for inspiration, learning, and community. As a conclusion to the program, the teens have created multimedia projects, videos, and traditional artwork that all address the program’s framing questions of “How can we make works of art and the museum relevant to our lives?” and “What does it mean for the Museum to be an icon for the city, inside and out?” As a soon to be student teacher on track for teacher certification in Wisconsin, it was exciting for me to collaborate with the teens and discuss ideas with them. Although I have not yet seen any of their finished pieces [ed. note: we’ll share them on the blog in the new year! ], I’m looking forward it. After hearing their ideas and seeing their preliminary sketches, I’m anticipating an impressive body of work from an even more impressive body of students—they’ve yet to let me down! My experience in the teen Satellite program has been a memorable one, to be sure. I had the wonderful opportunity to aid in facilitating an engaging learning experience for a diverse and hardworking group of high school students. Saying goodbye to the Fall 2014 Satellite teen interns will be bittersweet, but I’m hopeful that my involvement with museums is not over, but on the contrary, is just beginning. I’d like to thank the vibrant community of art and museum enthusiasts everywhere, the Museum staff for making the MAM the wonder it is, especially Chelsea Kelly, my enthusiastic and always optimistic supervisor—and last but certainly not least, the teen interns of Satellite. You guys and gals are the greatest. Thanks for your creativity, jokes, intelligent conversation, and of course, cupcakes. This entry was posted in Behind the Scenes, Education and tagged education, High School, Satellite High School Program, Teen Programs, Teens. Bookmark the permalink.